What is a bill of exchange? What is a draft? How to use a bill of exchange in letters of credit? 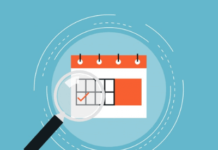 How to prepare a bill of exchange? On this page, I will try to explain “Bill of Exchange” and its applications in letters of credit. Banks mention “Bill of Exchange” as “Draft” in some occasions. Bill of exchange can be used as a supporting financial document in cash against documents and letters of credit payments. Bill of exchange is one of the most hard-to-understand concepts in trade finance terms. May be it is why some professionals find it unnecessary and demand its removal from the letters of credit, altogether. Definition: According to UK’s Bill of Exchange Act (1882), the bill of exchange defined as an unconditional order in writing, addressed by one person to another, signed by the person giving it (drawer), requiring the person to whom it is addressed (drawee) to pay on demand or at a fixed or determinable future time a sum certain in money to or to the order of a specified person, or to bearer (payee). There are 3 parties involved in a typical bill of exchange transaction. Drawer of a Bill of Exchange: Is the party that issues a Bill of Exchange in an international trade transaction; usually the seller or exporter. Drawee of a Bill of Exchange: Is the recipient of the Bill of Exchange for payment or acceptance in an international trade transaction; usually the importer, the issuing bank or the confirming bank. Bill of exchange transaction process may vary along with the selected payment method. 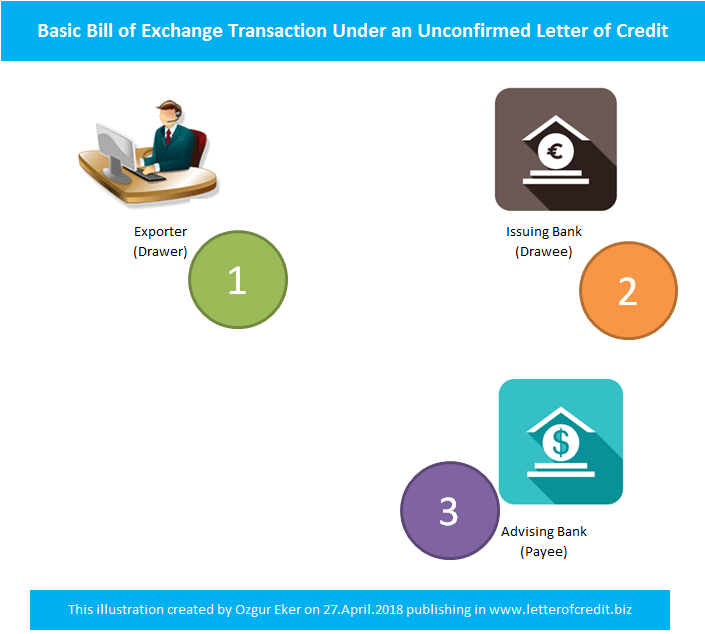 Below image illustrates a very basic bill of exchange process under an unconfirmed letter of credit transaction. Step 1 : The exporter (drawer) draws the bill of exchange on the issuing bank (drawee) and send it to the issuing bank for acceptance through the advising bank. Step 2 : The issuing bank (drawee) accepts the bill of exchange and makes the payment to the advising bank (payee) at maturity. Step 3 : The advising bank transmits the payment to the exporter (drawer). Important Note: The drawee and payee may change from one letter of credit to another. Especially, under confirmed letters of credit the drawee is the confirming bank instead of the issuing bank. Two major legal traditions, common law and civil law, govern the bill of exchange slightly different as a financial instrument in international trade transactions. Bills of Exchange Act (1882): Bills of Exchange Act (1882) is valid for United Kingdom, Ireland, commonwealth nations such as Australia, India, New Zealand etc.. Drafts, transport documents and insurance documents must be dated even if a credit does not expressly so require. Shipping documents have the following meaning under international standard banking practice; “shipping documents” – all documents (not only transport documents), except drafts, required by the credit. Even if not stated in the credit, drafts, certificates and declarations by their nature require a signature. The draft must be endorsed, if necessary. The draft must be drawn on the party stated in the credit. The draft must be drawn by the beneficiary. 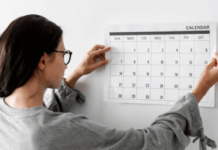 A credit may be issued requiring a draft drawn on the applicant as one of the required documents, but must not be issued available by drafts drawn on the applicant.